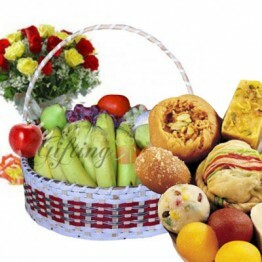 Fresh 12 Mix Roses Bouquet hand tied with all time favorite selection of mix mithai box and a health..
A seasonal fruit gift and fresh fruit delivery are available at Giftingway.com. If you’re sending a gift to say “thank you,” or to celebrate a birthday or an anniversary, we’ve got special collections for all occasions. Prefer your favorites from our fruit combinations and rest guaranteed that we will deliver your fruit gifts on time and in perfect shape. 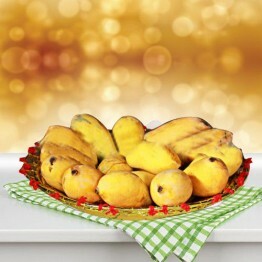 There are so many occasions for which fresh fruit gifts are perfect. Send fruit to treat someone special celebrate an anniversary, with a loved one happy birthday with a fresh fruit delivery in Pakistan. 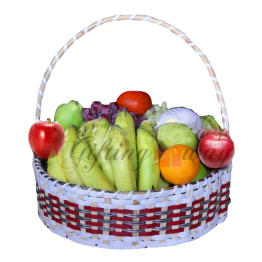 Our mouth-watering fresh fruit basket filled with seasonal fruit has all the natural morality a person under the weather needs to get on the road to recovery. 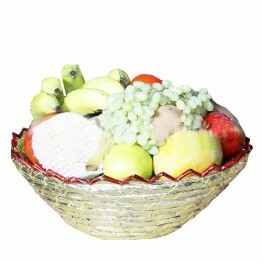 A Fruit basket is a mixed seasonal fruit such as bananas, apples, oranges, grapes, strawberries and much more. Your purchase includes a free personalized gift message. 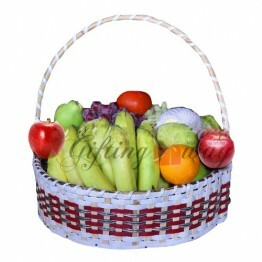 We offer a delicious assortment of small and large fruit baskets for delivery fast at affordable prices. 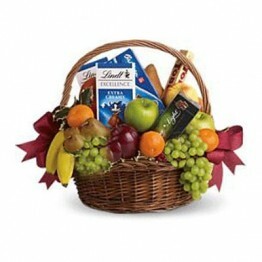 Fruit gift to ones for an everyday special event, we offer fruit basket delivery same day. 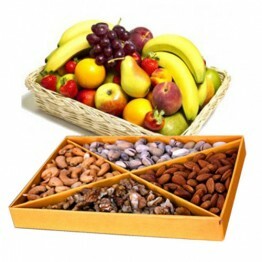 Love fruit paired with Flowers, Cakes, and dry fruits, or chocolate to make the perfect delicious gift basket. We offer a variety of mixed fresh fruit baskets for local delivery, hopefully, with all the choices, it will be very easy to opt for the ideal gift to send freshest of fruit. 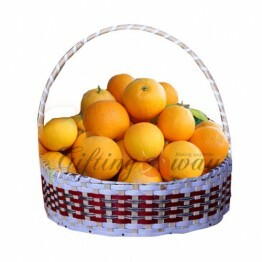 The most popular fruit gifts get in woven baskets which are a perfect way of gifting fruit. 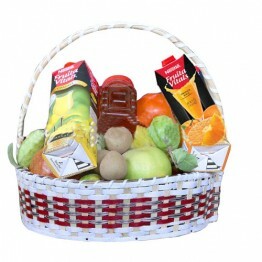 The woven basket is reusable and the perfect style of presenting fruit and treats for when you are entertaining a celebration. 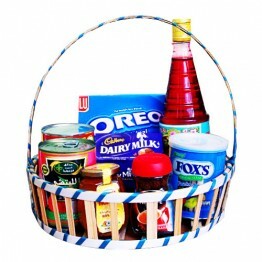 Fruit baskets are also available for major cities of Pakistan. 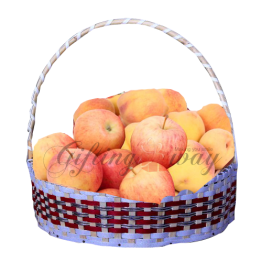 The variety of fruit in the baskets is usually included apples, orange, bananas, pears and more. We advise choosing a gift that pairs fruit with cakes, Flowers with Dry Fruits, flowers with cakes, and chocolate for a basket that is likely to please everyone.